Note the Tanga deal on the right Ad margin....follow it to get Family Circle for just $2.99! Smartsource.com & the SmartSource 1/9 coupon insert both have a mail in rebate form for when you buy three qualifying products you get a coupon for Free Aveeno Daily Lotion (up to $10.99 value). Aveeno Baby products fall under the Aveeno Category. Right now Babies R Us has their Baby Care products on a Buy two and get one free sale. Then submit for the Free Aveeno Daily Lotion (up to $10.99 value) Rebate from Smartsource.com! Right now there are sales where you can get $30 Baby Shoes for ONLY $4! Shipping is $6.95. Free frostys for the year...or is that "frosties"? You may want to check your Wendys for this offer right now. I was able to do this last year...FUN! when I remembered I had it! Actually we gave them as party favors, too! Enjoy! Head here where Uno Chicago Grill is offering a coupon for $5 off $15 through February 6, 2011! Go HERE to print a TGIFridays coupon $5 off $15 at TGI Fridays! 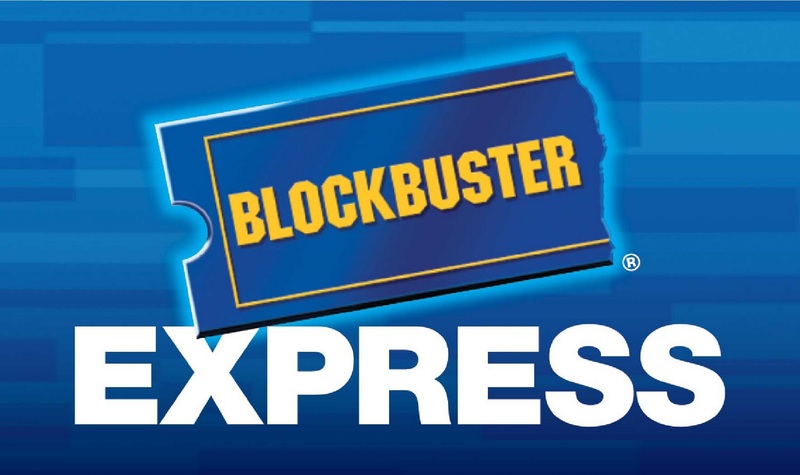 The coupon is valid until 1/13/11. Currently you can get a FREE 8×5.5″ 16 page photo book from Pixable! You just have to pay $2.99 for shipping! Not too shabby! The best part is Pixable uses photos from your Facebook account, so it makes your job extremely easy! Or use photos from Flickr, Picassa or your PC. At checkout use coupon code PIXBOOK which will make the book FREE! This deal can only be redeemed once per person. Click here for free hearing aid batteries! ShoptheLook.net - Buy 1 Get 1 Free site-wide with coupon code BOGO11 through 1/15. 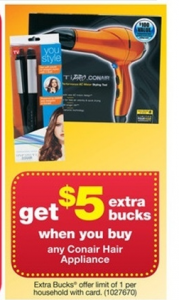 This week, CVS is offering $5 in Extra Bucks when you buy any Conair Hair Appliance. CVS sells Conair Curling Irons for $7.99. Buy one and earn $5, and you're cost is just $2.99. Just use promo code: tgtfreebook at checkout and you will just need to pay $1.99 for shipping. Just head on over to Kodak.com to start your book. Head down (or up!) the page to coupons.com and print 2 buy one get one coupons for Stayfree!! UPDATE: These will be on sale at Rite Aid next week. Stayfree 14-24 ct are priced at $2.50 and there is a $2 +Up Reward when you buy 2. So you can get 2 for ONLY $0.50!! WOW! You can get a free tote bag plus 40% off all clearance clothing and shoes you can fit in the bag with this Babies R Us Coupon. The coupon is valid at Toys R Us as well. The coupon is valid thru 1/23/11. Quick, lots of sizes, grab these boots for $11 shipped with code!! MANY people with size 9 or larger feet have asked me to keep an eye out for boots! These are on NOMORERACK.com and with code P1070 you get $10 credit. If you already signed up, you will need to use a new email to get the credit...like your husbands or pets. There are LOTS of sizes in various widths, only in black, available. I received my orders from this site and it went fine. Find link HERE. Through January, the iTunes Store offers free downloads of the Runkeeper Pro App for iPhone, a price drop of $10. This app uses the iPhone's GPS to track fitness activity. It tracks distance, speed, and more, storing the data at runkeeper.com to track progress. It has a 4-star rating from 3057 reviews. Aeropostale drops these Fur-Lined Button Booties from $49.50 to $12.99. These booties are available in brown/yellow in sizes 6-10 and are great for keeping you warm and cute during the winter. Shipping is $7 or free over $100. Sales tax is charged in most states. Here is a new rental code for a FREE night's rental. Use code SHTZFR1 thru January 10, 2011 to get your FREE rental! The code can be used once per credit card. Remember, return your movie by 9 pm the next day and you will not be charged. = 5 for FREE + a $10 Money Maker! =2 for FREE + $1 overage to go towards other items! = FREE + a little moneymaker!